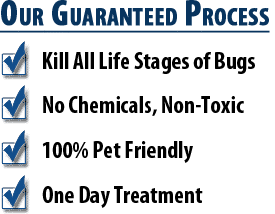 There are two different treatment options when it comes to eliminating bed bugs, either a bed bug heat treatment or chemical treatment. Below the treatments are covered in more detail. 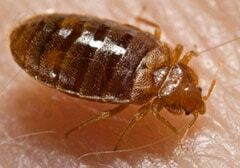 Bed bugs are tiny, brown-colored, oval-shaped insects that survives on blood of humans and animals. The body of a mature adult bed bug is flat, generally about the same size as an apple seed. Once bed bugs feed, the color of their bodies change to red. Although bed bugs can’t fly, they can move across floors, ceilings, and walls very quickly. Over its lifetime, a female bed bug can lay tens of hundreds of eggs. Bed bugs can easily enter someone’s home undetected through a variety of ways, including clothing, luggage, used furniture and beds, etc. Because their bodies are flat, bed bugs can access tiny spaces, even as narrow as a credit card. They don’t live in nests like bees or ants, but instead live in various hiding places in groups. Typical places that bed bugs like to hide in include bed mattresses, headboards, bed frames, and box springs, so they have easy access and free reign to bite people throughout the night and feed. However, given enough time, they’ll likely spread throughout the bedroom and eventually access other crevices in order to enter adjacent rooms and feed there. 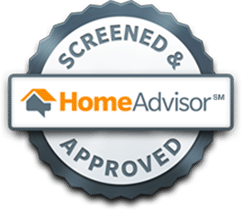 Whether a home is clean or dirty is irrelevant. The only thing a bed bug needs to survive is blood. Bed bugs are mostly active during the night and therefore typically bite people or pets while they’re asleep. Many people don’t even realize they have bed bugs and often blame their welts and itching on other insects like mosquitoes. 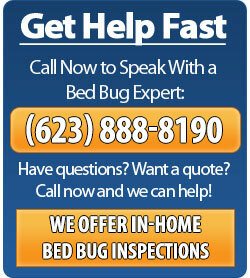 In order to confirm a bed bug infestation, the bugs themselves have to first be identified. 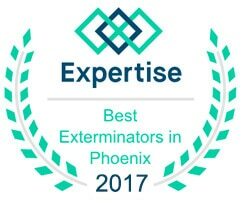 Contact Phoenix Bed Bug Expert to determine if you indeed have bed bugs and to eliminate them as quickly and efficiently as possible.